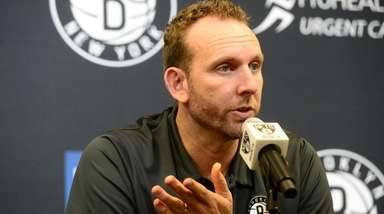 The good news about New York sports is that even when the news mostly is bad, there still is plenty to talk about, from tall (Kristaps Porzingis) to short (Justify jockey Mike Smith), from U.S. Open (golf) to U.S. Open (tennis), from an Islanders move (to Uniondale) to an Islander's move (to Toronto). Here is an unlucky number -- 13 stories -- to remember from a mostly unlucky year, and a wish for fans' sake that 2019's list involves more winning. The U.S. Open returned to Shinnecock Hills for the first time since 2004, and again conditions led to stewing from players. With winds kicking up Saturday, the scoring average skyrocketed. But by Sunday, things were back to manageably difficult. Brooks Koepka endured for a 1-over par total to become the first back-to-back Open winner in 29 years. 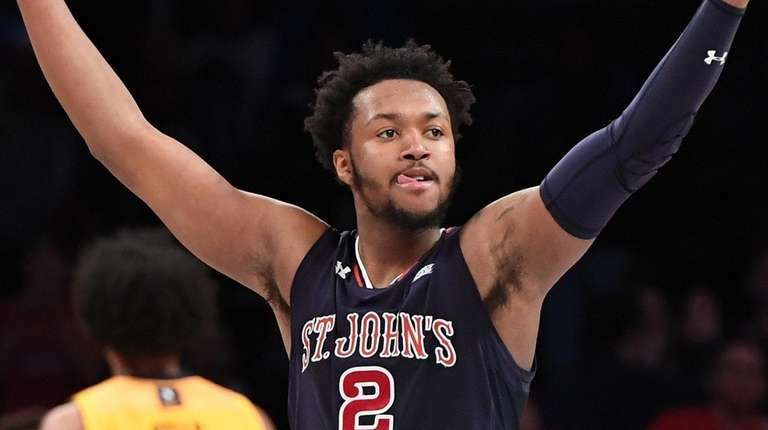 Behind fourth-year coach Chris Mullin and junior guard Shamorie Ponds, St. John’s emerged from a long period in the basketball shadows to begin the season 11-0 (through Dec. 19) – its best start since 1982-83, when a team that included sophomore Chris Mullin started 14-0. With the local pro teams struggling, St. John’s is poised to make some noise this winter. After a year-long retirement tour that included an emotional finale on Dec. 15, Mike Francesa came back to WFAN on May 1, discombobulating the station’s programming lineup but returning to, at, or near the top of the ratings. Speaking of ratings, his longtime ESPN New York rival Michael Kay narrowed the gap and set up an intriguing race between the two shows in the final quarterly book of 2018. The hype was not what it was for American Pharoah in 2015, when he ended a 37-year drought between Triple Crown winners. But Justify got it done, too, winning the Belmont Stakes with Mike Smith aboard by 1 ¾ lengths over Gronkowski. He became the 13th horse to win the Triple Crown, and only the second – joining Seattle Slew – to do so while undefeated. Serena Williams was poised to complete a dramatic return from giving birth – followed by medical complications – when she reached the U.S. Open final against Naomi Osaka. Not only did she lose, 6-2, 6-4, but did so amid controversy that included being assessed a game penalty after arguing with chair umpire Carlos Ramos, whom she called a “thief." 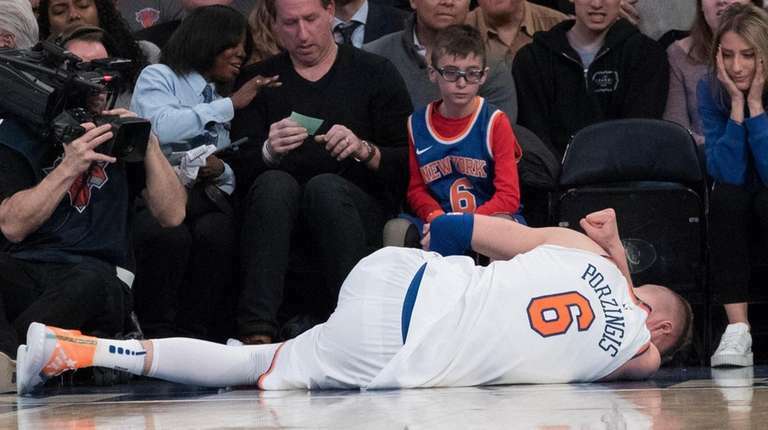 The most important basketball player in New York, Kristaps Porzingis, tore the ACL in his left knee in February when he landed awkwardly after dunking on the Bucks’ Giannis Antetokounmpo at the Garden. There is no indication when he will return, or whether it will happen at any time this season. 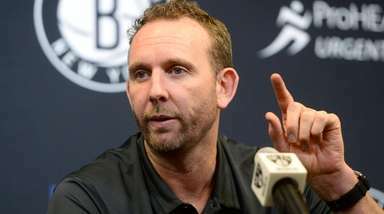 The Knicks’ fingers are crossed that he comes back strong. Brodie Van Wagenen was considered an unlikely choice to remake the Mets front office. 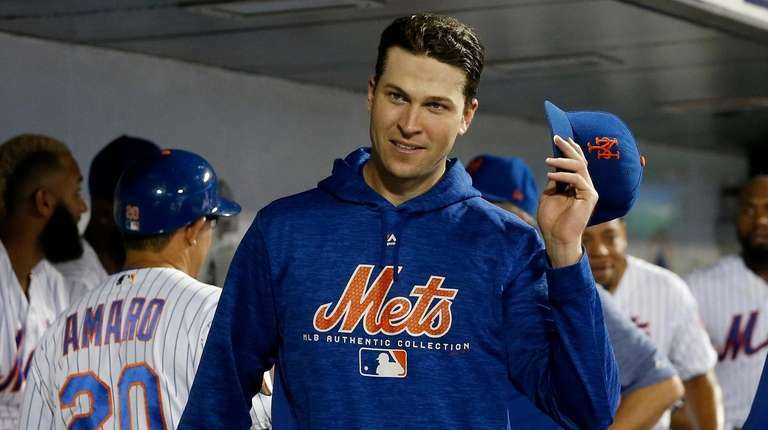 Among other things, the guy was the agent for the player in most urgent need of re-signing, Jacob de Grom. But the camera-ready, charismatic Van Wagenen quickly started making headlines as the new general manager, bringing Robinson Cano and Edwin Diaz aboard in an intriguing early hot stove gambit. 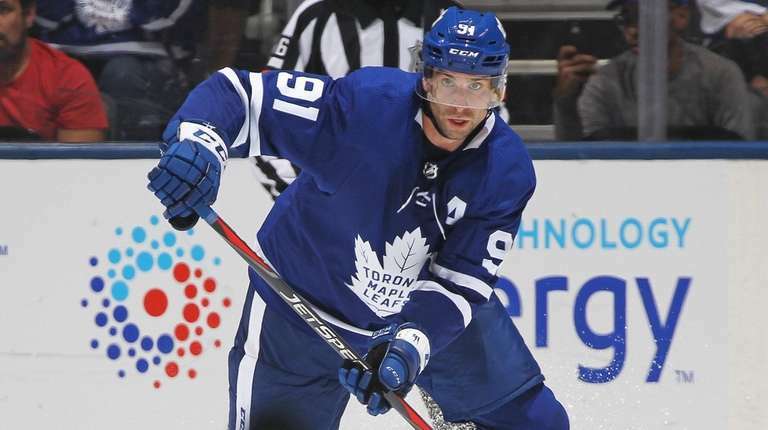 The Islanders could have traded John Tavares for something last winter, but they rolled the dice on him staying as a free agent. 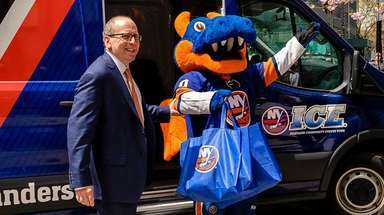 Then he bolted for his hometown team, the Maple Leafs, leaving the Isles to carry on without him. 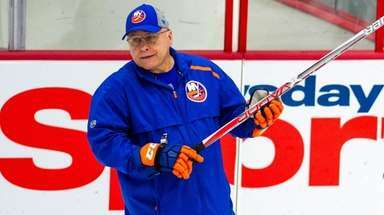 At least they added two Stanley Cup-proven winners to lead the charge: general manager Lou Lamoriello and coach Barry Trotz. 5. Jacob deGrom wins 10 games, and Cy Young! In an earlier era, Jacob deGrom’s 10-9 record would have all but disqualified him from Cy Young consideration. In this era, he got 29 of 30 first-place votes thanks to consistent excellence in the absence of run support from the Mets. His 1.70 ERA led the majors. He had 269 strikeouts, a WHIP of 0.91 and 29 consecutive starts allowing three earned runs or fewer. 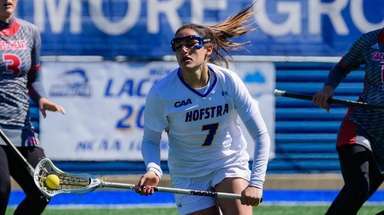 The Giants and Jets again muddled through long, losing regular seasons, but the real news was what happened in late April, when they drafted second and third overall, each selecting a potential franchise pillar. The Giants went for instant-star running back Saquon Barkley. 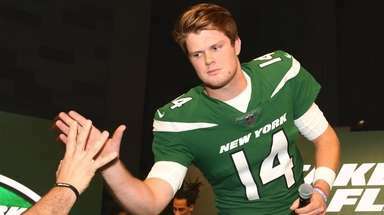 The Jets took a longer view with quarterback Sam Darnold. He looks like a keeper, too. 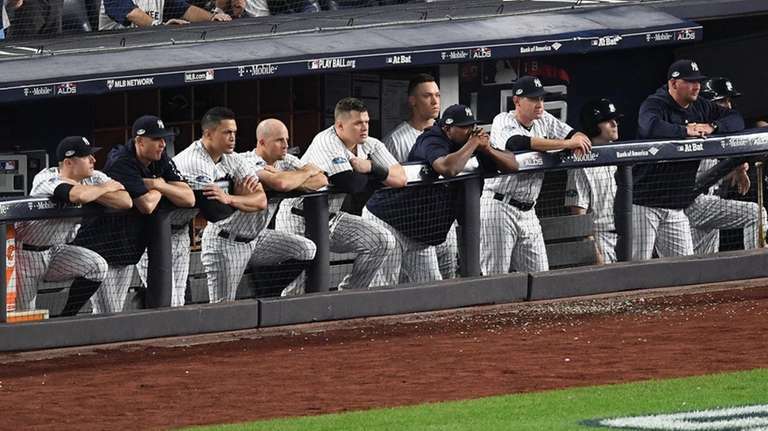 Even though the Yankees advanced one round fewer than in 2017 under new manager Aaron Boone, it was difficult to call them a failure. They won 100 games, 17 of 18 in one stretch, and had to settle for a wild card only because the Red Sox were just too good, winning 108, with a four-game sweep of the Yankees in August and a 3-1 ALDS victory over them. 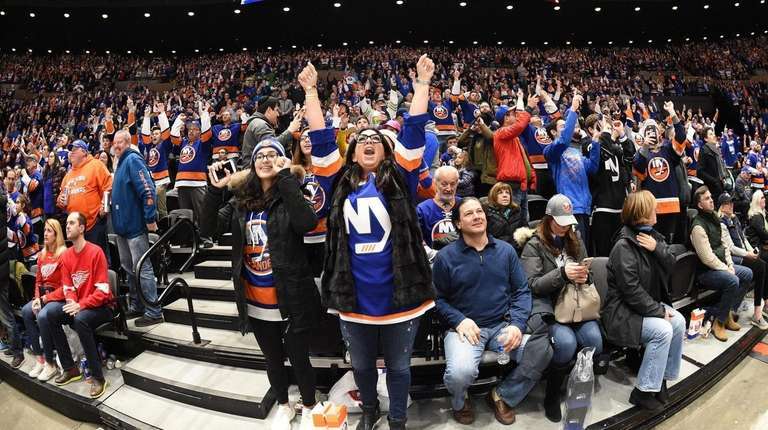 Six years after announcing a move to Brooklyn, three years after moving there and one year after announcing plans for a new arena near Belmont Park, the Islanders added another plot twist, moving part-time back to NYCB Live’s Nassau Coliseum. Fans reacted as expected: By avoiding the Barclays Center more than ever, and packing games at the Old Barn. Sure, the Yankees won 100 games and have an array of stars, but other than that . . . blech. Not since 1905-21 has our area endured a stretch this long without a major pro sports championship, the most recent being the Giants’ nearly seven years ago. Other than the Yankees, no team seems close. Even worse: Things are going great in Boston-area sports!